Many types of structures can be built using elements that are found in a backyard. Structures provide a means to create a piece of art or something that is functional. This will depend on the material that you have available. 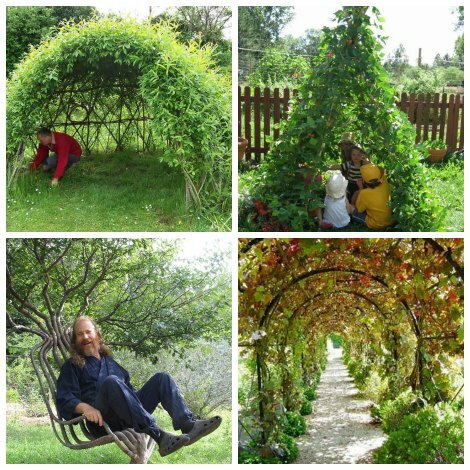 Living structures are a great way to combine creativity and nature. You can create most types of structures by first researching your options. The best way to think of living structures is like vines that grow on a fence or other type of structure in an area. Any type of structure can be used based on availability and what you can create to fit in the area you prefer. One thing to keep in mind is you may need to make a frame for your structure. Anything that can grow in nature can be used to make living structures. One common element you can find at a lot of homes is a pergola which is covered in various plants. This is a great way for you to find a source of inspiration to build your own living structures. One interesting aspect of living structures is they can be used as an element for a social event. You can set up an arbor or gate with roses for a wedding or to use as an entrance into a garden area. The choice of the options available is limited only to your imagination and the result that is desired. The first thing to do is determine the design that you want to use for your living structures. You should then determine the tools and materials needed to complete the project. This includes the types of plants and greenery that you want to use for a structure. Most of the materials that you will need will easily be found at any home improvement store.